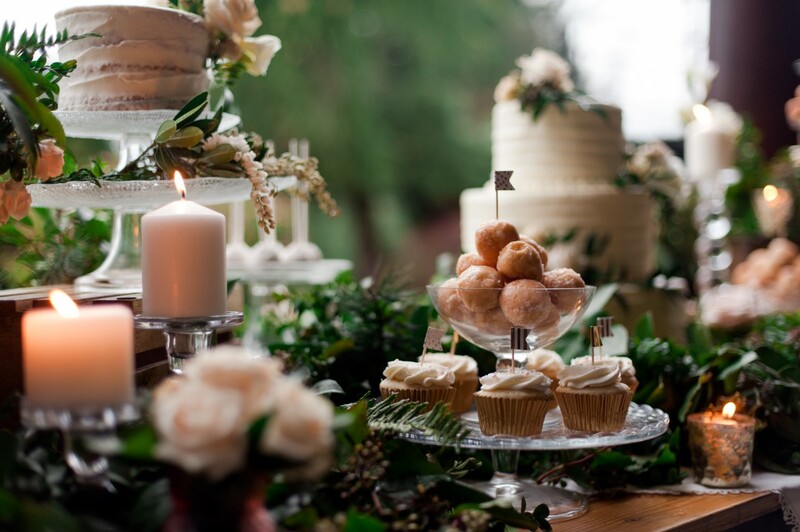 Dessert Tables are one of the best part of weddings and this one with gorgeous greenery and sweet cakes tops it all. So much goodness and fun! Cakes, cupcakes, cake pops, doughnuts and lots of other yumminess are found on all the best wedding dessert tables. To top it all off, it won Best Dessert Table at the 2017 Vancouver Island Wedding Awards! This dessertscape was a surprise gift for the bride and groom. Cake Designer, Laura of Schur to Please Boutique Cakery, and Tammy of Blue Lily Event Planning, put their heads together to create this amazing West Coast Boho Chic look. The glassware and barrels were provided by Decorate Victoria and Laura Kalcsa put together the garlands that were draped across the table. Element Photo Co. captured all the details including the paper suite by Tickle Tree Stationery + Design. The beauty of this tablescape is it’s white iced cakes, cupcakes and pops sitting on glassware and surrounded by white roses. The warmth of candlelight made for a pleasing scent from the greenery and roses. The lovely fountain and landscaping of Olympic View Golf Course served as the perfect backdrop. The tablescape was designed to be added to the reception décor provided by Decorate Victoria. Boho chic and lush florals were showcased with blush pink and gold centerpieces highlighted by vintage lights which were strung behind the head table. Succulents were randomly placed on the tables and served as giveaways to guests. The piece de résistance – the 26′ live edged head table which included 300 roses and 600 foliage stems! Family Heirloom Included with Cakes! The lovely lace gracing the middle of the tablescape is a piece of linen tatting that was provided by the bride’s grandmother. The original piece was handmade in 1861 by the bride’s great great grandmother. It is an interesting touch to have antique linens alongside Tim Horton’s timbits! The table designer was careful to only choose timbits that were the correct colour and texture to match the cakes and cupcakes colour palette. The ultimate in Canadian wedding touches, eh? 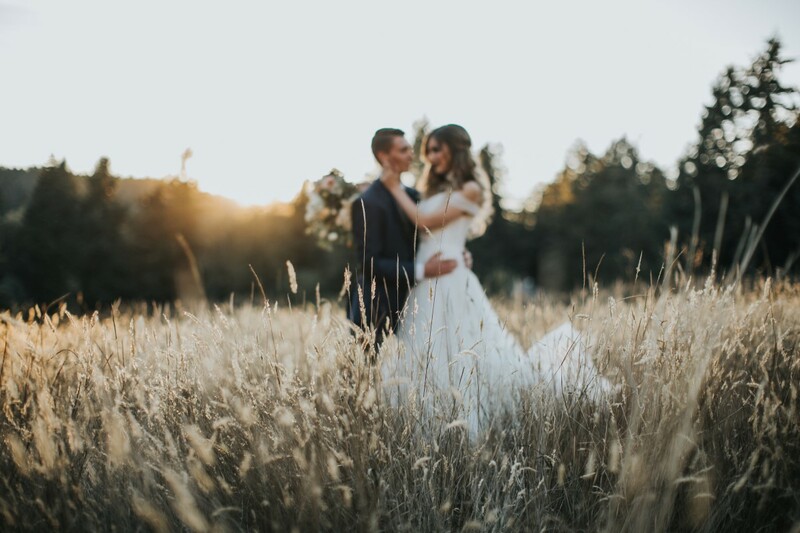 To see more of this wedding visit A Dreamy Boho Chic Romance!